Eelbrain is an open-source Python package for accessible statistical analysis of MEG and EEG data. It is maintained by Christian Brodbeck at the Computational sensorimotor systems lab at University of Maryland, College Park. If you use Eelbrain in work that is published, please acknowledge it by citing it with the appropriate DOI for the version you used. 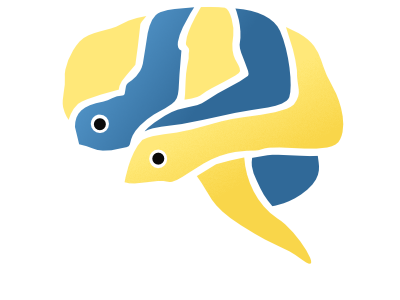 Eelbrain relies on NumPy, SciPy, Matplotlib, MNE-Python, PySurfer, WxPython, Cython and incorporates icons from the Tango Desktop Project. Current funding: National Institutes of Health (NIH) grant R01-DC-014085 (since 2016). Past funding: NYU Abu Dhabi Institute grant G1001 (2011-2016). © Copyright 2019, Christian Brodbeck. Created using Sphinx 1.8.5.